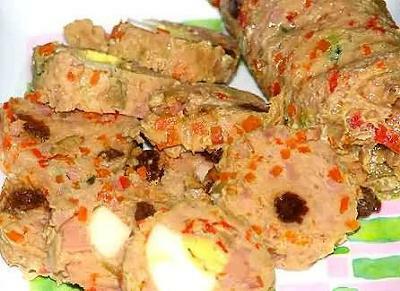 A traditional recipe from the Philippines. * Flake fish. Combine all ingredients. Mix thoroughly. * Roll 1 ½ cups of mixture in aluminum foil or colorless cellophane. * Steam for one hour.